In his foreword to “Kevin the Brave”, the author states that he has simply produced a “very silly story” – a disarmingly modest statement that doesn’t even begin to do justice to the delights to be found and relished within these pages. 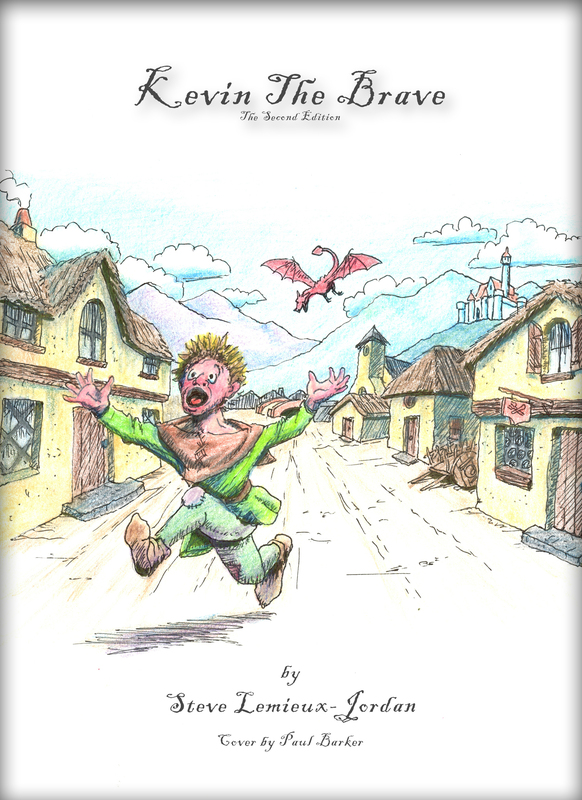 “Kevin the Brave” is, in fact, a tale that readers will find thoroughly lives up to the oft over-used and all too frequently exaggerated cliché “for children of all ages” – and in the case of this particular story, that includes jaded sophisticates who may have thought they had to give up the joys of sharp wit, mischievous innuendo, and clever wordplay whenever reading a “children’s story” to their own kids. For “Kevin the Brave” is a book that abounds in all of these elements, and more – a heady cocktail of a tale that might have been concocted if Roald Dahl collaborated with Shel Silverstein, and yet with the unmistakable freshness of a new storyteller very much at home in his own unique style. Wordplay abounds throughout, with a combination of childlike whimsy and adult sarcasm that elicits giggles from little ones even while raising eyebrows and inspiring knowing smirks in their elders. But all of that linguistic facility would not be satisfying if it were not put in the service of telling a story that is both delightful and meaningful, fleshed out with recognizable characters it is easy to care about (including one of the more scintillating dragons one is ever likely to encounter) and from whose adventures there are lessons to be learned. As in the best children’s literature, those lessons sneak into your consciousness on tiptoe, deftly disguised in such laugh-out-loud fun that it is only later one fully realizes a significant life-lesson has been encountered and absorbed. “Kevin the Brave” is a book, which I believe deserves a place of honor on many a child’s bookcase – and might well be right at home on a parent’s nightstand as well. It’s a story that will reveal even more secret humor and subtle meanings with subsequent readings, and may well become a beloved classic in your family’s library. In this age when so many youth get overwhelmed by the technology of the world and forget all too soon the wonder of childhood, this book is a must read!